If Pat Metheny never plays another single note, he would have already lived a "bright size life." Pat Metheny was born in Lee's Summit, MO in 1954 and first picked up his guitar at the age of twelve. 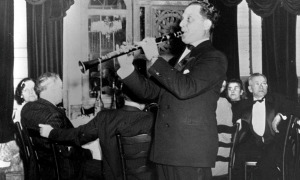 By age fifteen, he was already playing with the top jazz musicians in town. 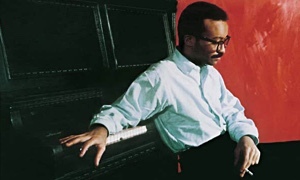 In 1974, he became a part of the international jazz scene and joined a band led by vibraphonist Gary Burton. During this three year stint, he not only made some remarkable albums with Burton, like Passengers and Dreams So Real, but also produced his own debut album as a leader for ECM Records in 1976. If there is one thing that Metheny cares for as much as playing and composing, it is education. He was the youngest teacher ever at the University of Miami at age eighteen. He achieved the same accolade at the age of nineteen at the Berklee School of Music in Boston. In 1996, he received an honorary doctorate from Berklee. Metheny has also taught various musical workshops and clinics all around the world in locations such as the Dutch Royal Conservatory, the Thelonious Monk Institute for Jazz, and parts of South America and Asia. Metheny is also quite an engineer when it comes to the guitar. He has pioneered different kinds of guitars for different sounds and purposes, stretching the ever-versatile instrument to new horizons. At the time of this article (2006), he has already performed on the soprano acoustic guitar, the 42-string Pikasso guitar, the Ibanez 1-S PM-100 jazz guitar as well as many other custom made instruments. The name Pat Metheny is known worldwide and he has an almost religious following that would follow him to the ends of the earth. He has deep and profound respect for jazz music, the tradition, and the ever-evolving process of improvisation. He has won more Grammy awards than Elizabeth Taylor has had husbands. When Metheny is not recording, writing, engineering a new type of guitar, winning another award to add to his dozens, or giving clinics, he usually performs around 120-240 shows a year and has done so since 1974. Some dig Pat Metheny's music and others simply do not. 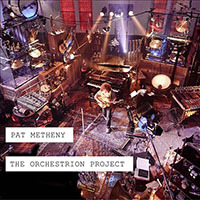 Some people love the Pat Metheny Group projects, but can't stand his other output. One must look at the entire scope of this artist to fully understand the depth of his genius. In interviews about the process of jazz improvisation, his logistics echo that of Bill Evans. As far as early immersion in tradition, he was born in Kansas City, the birthplace of many jazz greats. He is also reminiscent of Miles Davis' ever-changing, ever-evolving persona, always in search of the next creative horizon. You can hear one line from his guitar, and know that you are listening to Pat Metheny. 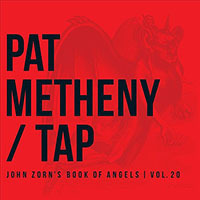 Metheny's recording debut as a leader, in a trio with bassisst Jaco Pastorius and drummer Bob Moses. Essential from start to finish, offering such classics as "Bright Size Life," "Midwestern Nights Dream," "Sirabhorn," and "Unity Village," all composed by Metheny, as well as "Round Trip / Broadway Blues," written by Ornette Coleman. Given Metheny's lyricism, Pastorius' insatiable lines, and Moses' delicate, empathetic dynamics, people will still be talking about this record in 2076. 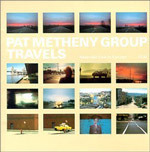 The debut of the Pat Metheny Group on record. 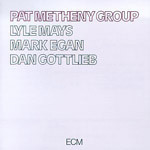 The original lineup of Metheny, Lyle Mays, Mark Egan and Dan Gottlieb made history and a set of new, contemporary standards with this album. Not long after the release of Bright Size Life, Metheny cast six new originals that have become anthems to his dedicated following. You need only a few strains of "San Lorenzo," "Phase Dance," "Jaco," "April Wind," "April Joy" or "Lone Jack," laced with optimism and the joy of discovery, for a smile to creep across your face from ear to ear. This is where the PMG madness all started, and for good reason. Metheny's first solo record. On this project, Metheny chose to use overdubs in many different ways. Although it is labeled a "jazz" record due to its improvisational nature, it features many and various influences: Americana and Spanish flamenco stylings alongside folk, Indian music, and tinges of bluegrass, all intertwined into a musical cornucopia. Mainly focused on the Metheny and Lyle Mays writing duo, which has been compared to Lennon & McCartney as well as Ellington & Strayhorn, plus help from multi-percussionist Nana Vasconcelos. This album showcases the writing genius of the two in a musical twist of African, Latin, and Americana rhythms and melodies. It also feautures a somber, wistfully beautiful tribute to pianist Bill Evans ("September Fifteenth"the date Evans passed away). A classic that will stand the test of time. 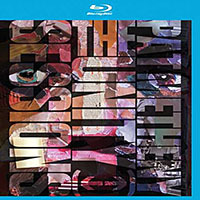 This two-disc set catches the Pat Metheny Group on the road, live in concert, featuring fresh renditions of familiar favorites plus some new favorites for the listeners' musical palette to savorCompositions like "Farmer's Trust," and "Travels" became instantaneous favorites among listeners and musicians alike. Absolutely nothing compares to the music and collective spirit of discovery delivered by a live show given by the Pat Metheny Group. Another trio, with bassist Dave Holland and drummer Roy Haynes. 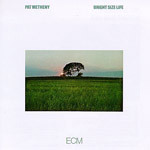 In his liner notes, Metheny claims that he actually wanted Holland on bass for Bright Size Life, but felt that he was not musically "ready" for Holland in that he rarely plays roots. (Holland figures that everyone should know the music well enough that he doesn't need to anchor the piece.) Here, Metheny proves more than ready for Holland. The three players sail through the tunes (half standards, half originals) effortlessly, putting unique twists on "All the Things You Are," "Solar" and "Old Folks," as well as originals like "Question and Answer," "Three Flights Up," and "H&H," which are sure to become standards in the near future. A totally different trio record from Bright Size Life, more focused on a traditional jazz setting, and showing how easily Metheny excels in this arena, too. The album no one seems to understand: Some have called this Metheny's version of a musical joke; some have hailed it as an avant-garde textural masterpiece; others just call it noise. 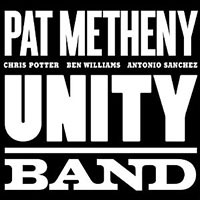 Whatever his reasons for recording it, the main thing to remember is that this is a far cry, stylistically, from any of Metheny's other projects. 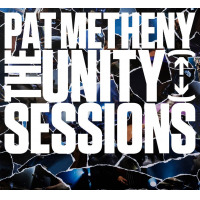 Pat Metheny is an artist who is always changing and doesn't have to answer to anyone. "Pure beauty" are the best two words to sum up this duo album. 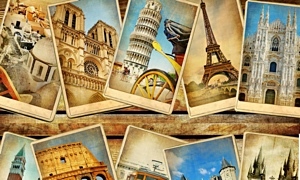 It features plenty of versatility, but beauty is the recurring element. Numerous Haden originals are all laced with infectious simplicity and breathtaking qualities. "Waltz for Ruth" opens it up (with Metheny quickly quoting his composition "Minuano" in the beginning strains of his solo), followed by other Haden originals, "Our Spanish Love Song" and "First Song (for Ruth)," and ending with "Spiritual" written by Josh Haden, Charlie's son. The amazing duo also puts their spin on Morricone's "Cinema Paradiso," Mancini's "Two For the Road," Jim Webb's "The Moon is a Harsh Mistress," and Roy Acuff's "The Precious Jewel." Want to know "pure beauty"? It's as easy as looking Beyond the Missouri Sky. This album challenges and appeals to listeners across many broad categories. The tracks and title of the album must be decoded using the symbol key on the inner lining of the CD case. No matter: The challenged listener quickly comes to favor such wonderful compositions like the Eastern-flavored "Heat of the Day" and "The Roots of Coincidence," with its industrial and rock tinges, all conjured from the dynamic and masterful minds of Metheny and Mays. 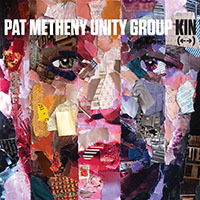 Metheny again struck Grammy gold again, claiming the Best Rock Instrumental Performance for "The Roots of Coincidence," as well as Best Contemorary Jazz Album. The ever-evolving artist includes some young lions on this recording, surrounding himself with arguably the best drummer and bassist from this period: Bill Stewart (Charlie Haden, Larry Goldings) and Larry Grenadier (Brad Mehldau Trio). Not as traditional as Question and Answer, nor as ethereal as Bright Size Life. This trio conjures up musical images of a Sonny Rollins trio setting as Metheny soars through "Giant Steps," "Capricorn," and "A Lot of Livin' to Do," plus exquisite flights through his originals "Lone Jack," "Travels," "What Do You Want?," "Soul Cowboy" and "(Go) Get It." Proof that even in 1999-2000, Metheny was still ahead of the rest... full throttle. The classic pairing of two jazz guitar giants, Metheny as the young lion standing steadfast with the wise elder Hall, and a dream come true for Metheny to play with one of his guitar idols. Democratically divided into four tunes from Metheny, four from Hall, four standards, and five "free" improvisational pieces. 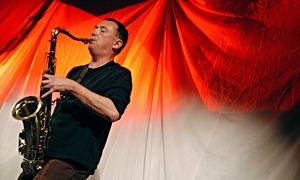 After all, Hall was among the first to help start the "free" movement with Chico Hamilton in 1955, so Metheny swims the empathetic waters between the two. No matter which brand of jazz you prefer, there is something on this duo performance you will absolutely love. Metheny's most recent solo guitar album and a primal display of the speed and brilliance of his genius. After purchasing a new baritone guitar and finding a rare free evening at home with his multi-track recorder, he freely created this solo outing (with no overdubs), a Grammy-winner and a beautiful soundscape for all of us to enjoy. He takes on tunes such as "Don't Know Why," made popular by Norah Jones, Keith Jarrett's "My Song," "Ferry Cross the Mersey," and old and new originals. Hailed as Metheny's most contemplative record to date. 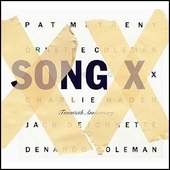 Mastermind Charlie Haden brought Metheny and Ornette Coleman into the studio for this masterpiece. This 1985 recording was a far cry from his usual Pat Metheny Group projects of the time; it featured Ornette on sax and violin, Haden on bass, Jack DeJohnette on drums and Denardo Coleman on percussion. It raised a lot of eyebrows back in 1985; Nonesuch released a 20th Anniversary edition of Song X in 2006 with six new bonus tracks. 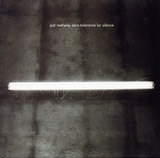 This release still raises eyebrows with its fresh and inventive improvisation, twenty years later. Only truly gifted improvisers such as Coleman and Metheny could make such an album. 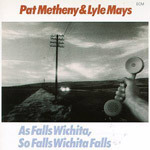 The latest release as of this writing (2006) from the genius minds of Metheny and Mays. Hailed as their most ambitious work by far, this magnum opus is only three movements long (four if you count the intro) and clocks in at more than 68 minutes. Its ever-blasting sonic rhythms, key shifts, tightly knit time and tempo changes make it for the ages. Features the dynamic duo on guitar and keyboards plus Cuong Vu on trumpet and voice, Gregoire Maret on harmonica, Antonio Sanchez on drums, and Steve Rodby on acoustic and electric bass, plus cello. From Bright Size Life to The Way Up, there is only one single word to describe the music of Pat Metheny: quantum.